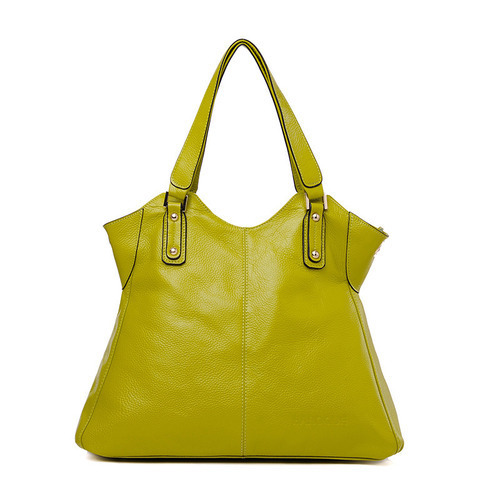 Being a noteworthy enterprise of this industry, we are offering a wide spectrum of Ladies Bag. We have gone through to your website. The designs posted on the URL are not updated. For this new season 2017 R &D Dept has developed new design which will definitely be liked by your customers. I presume that you will also like to join with new suppliers to match the requirement of customers. You can see we few products like hand painted bags / crewel embroidery bags which we prepare are different from normal leather bags. Even we are doing R&D in recent days with fringe leather bags and how to fusion them with stitching work. Few things like making a laptop bag with such an laptop compartment that can be resized as per laptop size or making an women bags for which user can change shape of the bags by their choice or making the bags different in size or using multi color leather together with same bags are help your brands to stay ahead with your competitor. We always help and insist customers to go with these concepts and also on giving ideas. Our these efforts already benefited multiple of our customers. We have already mentioned about our products and its uniqueness, quality. Apart from the good quality products we also give very good quality support to our each and every client. This includes continuous communication with client to understand the exact requirement, suggestion on optimizing the transportation cost, suggestion on the leather selection as per the product and market. The main motto of this is to make the client comfortable with us and to provide our best support and guidance to us.